Once upon a time the BBC made a habit of making world-class television, but I’m afraid those days are long gone. They can’t even get the sound quality right these days, let alone all the naïve writing creeping in, clueless direction and unrealistic plot lines pandering to political correctness. I put it down to young executives with no life experience controlling everything, but I would say that wouldn’t I? It’s no surprise, then, just how many British actors these days appear on US television – playing Americans, especially in shows I tend to prefer over BBC rubbish. Old Etonian, Dominic West, played hard-bitten Baltimore detective, Jimmy McNulty, in HBO’s excellent The Wire. Idris Elber from London played the Baltimore drug lord, Stringer Bell, in the same series. Both were superb. England’s Ruth Wilson. Who guessed she wasn’t American? Dominic West, from Sheffield (like Joe Cocker, Jarvis Cocker and the Arctic Monkeys) also played another American, Noah Solloway, in Showtime’s The Affair. Ruth Wilson, who played opposite West, as Alison Bailey, is also English, from Ashford, Kent. That’s the last station out of England on the Eurostar train to Paris, etc. Another Londoner from another posh English school, Damian Lewis, who went to Lord Byron and Winston Churchill’s old alma mater, Harrow, stars as US Marine Sergeant Nicholas Brody in another popular Showtime series, Homeland. While Welsh actor, Matthew Rhys from Cardiff, plays a Russian spy masquerading as an American travel agent in the FX drama The Americans. Ian McShane from Blackburn, Lancashire, (the town about which the Beatles sang of 4,000 holes in A Day In A Life) turned up playing American pimp and entrepreneur, Al Swearengen, in HBO’sDeadwood. More recently, McShane played the crooked US billionaire, Andrew Wilson, in Showtime’s Ray Donovan. And Trixie, the tart with the heart in Deadwood, was portrayed by Northern Irish actress Paula Malcolmson, who now plays Ray Donovon’s Boston-born wife, Abby. Paula’s from Van Morrison’s old stamping ground, Belfast. And these are only the shows I watch. Oxford’s Hugh Laurie, he of the blues albums Let Them Talk and Didn’t It Rain played the cranky but brilliant American surgeon Dr. Gregory House in the world’s most watched TV show in 2008, House. And Andrew Lincoln, who grew up in Hull, home of that great alternative rock band The Housemartins and anti-slavery crusader William Wilburforce (1759-1833), has now appeared in the sixth series of the smash AMC horror-fantasy hit TV series The Walking Dead. Lincoln, who played a raft of lovable TV characters in England, obviously got out of the UK before the rot set in. He now plays the gun-toting US zombie slayer and leader of men, Sheriff Rick Grimes. 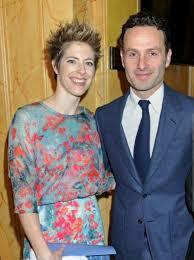 And just to give this piece more of the required blues and rock twist, Andrew Lincoln is married to Gael (nee Anderson) daughter of Jethro Tull frontman, Ian Anderson. Jethro Tull, incidentally, started life as a blues rock band before they started getting into progressive rock. 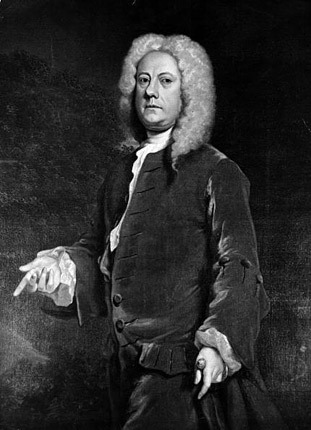 For me, though, Jethro Tull will always be the guy we learned about at school – in social and economic history – the agricultural revolution pioneer who invented the horse-drawn seed drill in 1701 and wrote the ground breaking essay Horse-Hoeing Husbandry published in 1731. Yes, I admit it. I’m living in the past. When was the word ‘blues’ first written down? Not to forget Eamonn Walker who was in The Bill (a British Cop show in the 1980s), then showed up in the major role of Kareem Saïd on the American television drama series Oz on HBO in the United States. Well remembered, Ryan. Thanks for your feedback.